A tattoo can be worked more thoroughly and will heal better if there is little or no surplus ______ in the needles when they are finished penetrating the skin. Answer: FORCE - Any extra force will be spent pushing the needles deeper than they need to be, causing trauma, blowouts and longer healing times. An important goal for tattooists is to find the right amount of force for their working habits and to refrain from hitting the skin harder than it needs to be hit. 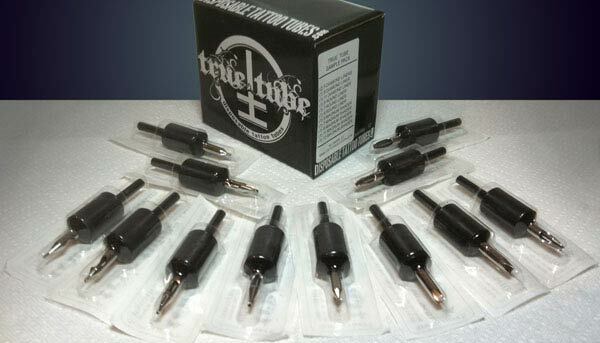 DON'T FORGET, we still have a great selection of True Tubes in-stock at our website! True Tubes are the world's first hybrid plastic/steel disposable tubes, offering all the convenience without making any of the sacrifices. True Tubes come in a wide variety of styles, including different sizes of round and diamond tips along with a wider than normal range of shading tips. The steel tips are made of high quality stainless and are always brand-new none of the wear and tear that you'll see on your non-disposable tips. 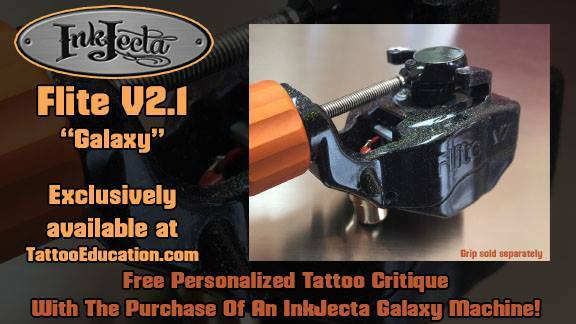 At www.tattooeducation.com we are now offering a sample pack of all 12 different styles: 5 diamond, 8 diamond, 11 diamond, 5 round, 8 round, 11 round, 5 magnum, 7 magnum, 9 magnum, 11 magnum, 13 magnum and 15 magnum. Click HERE to pick up your sample pack today!